Acupuncture for stroke rehabilitation has been used for centuries in China. Ancient Chinese physicians also knew of the correlation between the history of migraines and susceptibility to stroke later on in life. It took hundreds of years before modern western medicine “discovered” that same fact. The symptoms of stroke include paralysis, pain and thinking problems. The difference between rehabilitation for strokes in Chinese hospitals and hospitals in the western world such as New Zealand is quite staggering. According to the National Institute of Neurological Disorders and Stroke, post stroke rehabilitation in the west involves physicians; rehabilitation nurses; physical, occupational, recreational, speech-language, and vocational therapists; and mental health professionals. They ironically do not have professional qualified acupuncturists as part of the recovery team. Yet acupuncture for stroke recovery has proven to be an effective treatment. In China, the aim of treatment is too have the stroke patient fully recover. In the West, it is to teach the stroke patient how to deal with their disability. In Chinese hospitals, they have specialist stroke recovery wards and usually start acupuncture for stroke within three days of the stroke. In addition, Chinese herbal medicine and tui na (Chinese massage) are combined. 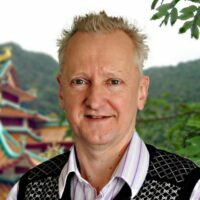 When Heiko Lade of The Acupuncture Clinic – Hastings had his first visit to China in 1984, he observed in the Chinese hospitals that the recovery rate for stroke patients was around 95% within 3 months of having the stroke. The treatment was intensive, acupuncture and tui na daily as well as Chinese herbal medicine. 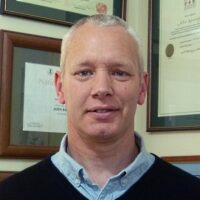 Even Dr Russ Erickson of the American Academy of Medical Acupuncture says that there have been many studies in China, Japan and even Scandinavia that clearly demonstrated significant improvement with acupuncture and that patient’s get better faster and require less nursing and other rehabilitation therapy. In fact, western medicine had acknowledged the usefulness of acupuncture for stroke as far back as 1997 when the US National Institute of Health reported that there are positive clinical reports supporting acupuncture treatment for stroke rehabilitation. New research again has confirmed that acupuncture for stroke is effective in the treatment of foot drop. The 2012 study subjects undertook a course of 30 acupuncture treatments which was performed daily. The researchers even found that certain acupuncture points worked better and resulted in more significant improvement. Yet the New Zealand hospital system lags so far behind. In Auckland, for example, a qualified acupuncturist and member of the New Zealand Register of Acupuncturists was ordered off the hospital grounds by security staff because he was providing privately paid acupuncture and cupping treatment to a stroke patient. In 2012, in Sydney, a Traditional Chinese Medicine Hospital is being built that will combine modern western medical treatment with traditional Chinese acupuncture. It is important to start acupuncture for stroke treatment as soon as possible after the stroke to maximise the result potential.